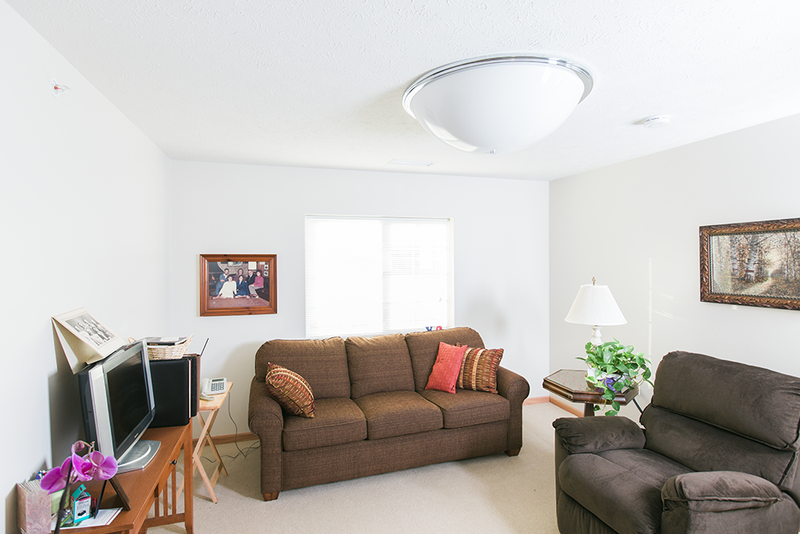 Autumn Pointe is located on a quiet country setting. 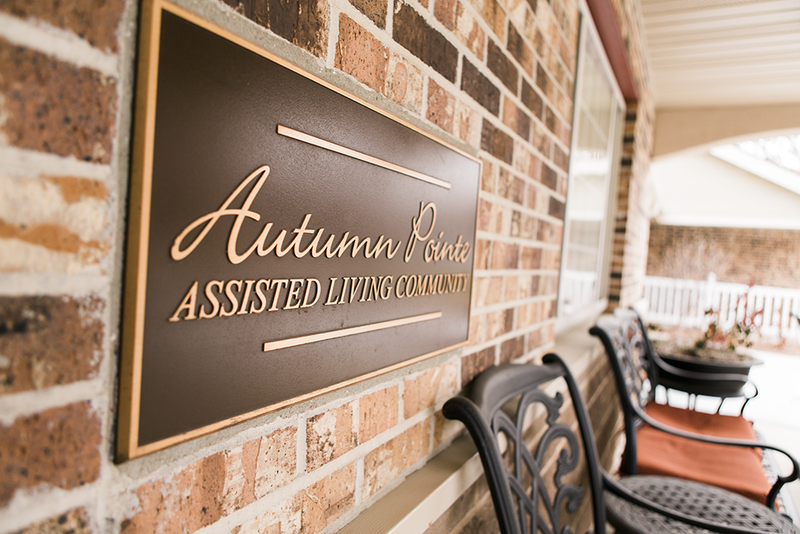 Our picturesque surroundings encourage residents to get outdoors and take advantage of our walking path, or sit on the porch and enjoy the view with some fresh air. Our indoor environment is designed for relaxing and socializing in several different common areas including a beauty/barber shop, library, coffee shop, chapel and activity room. 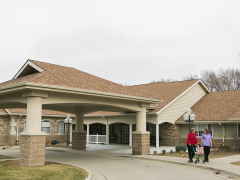 We have 48 apartments for seniors who need assistance with daily activities. 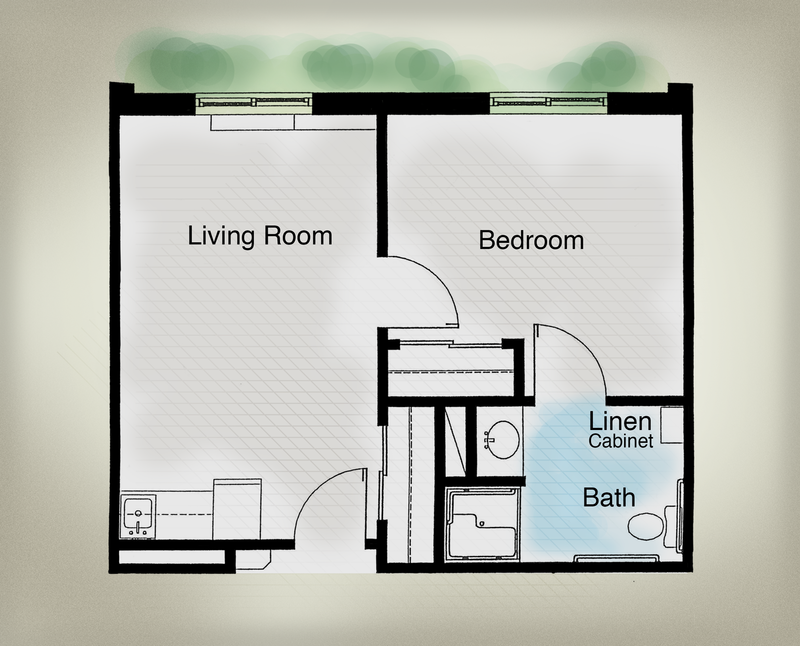 These apartments include a kitchenette with refrigerator/freezer, cabinets and stainless steel sink. 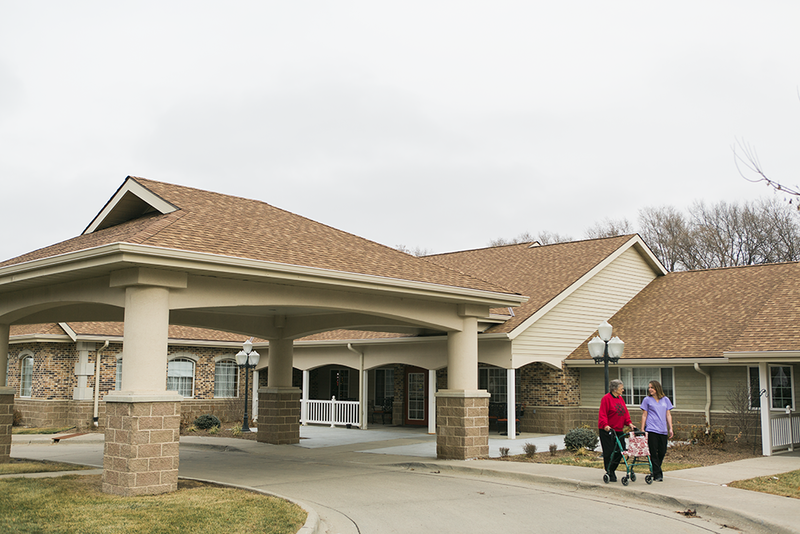 With resident safety being our top priority, each resident has a personal call pendant to contact facility staff in case of emergency. 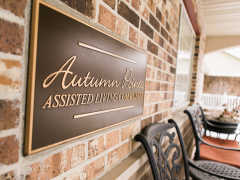 Autumn Pointe offers 48 apartments with three different floor plans for your personal living space. 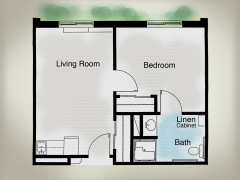 We encourage you to bring items and décor that will make your apartment feel like home to you. 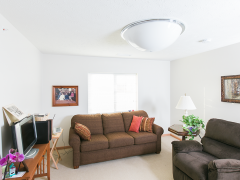 Each apartment is designed with our residents’ safety in mind. 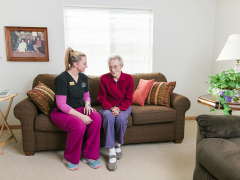 Each resident has a personal call pendant to contact facility staff in case of emergency. 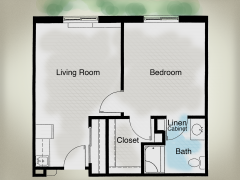 All apartments have a kitchenette with refrigerator/freezer, cabinets and stainless steel sink. 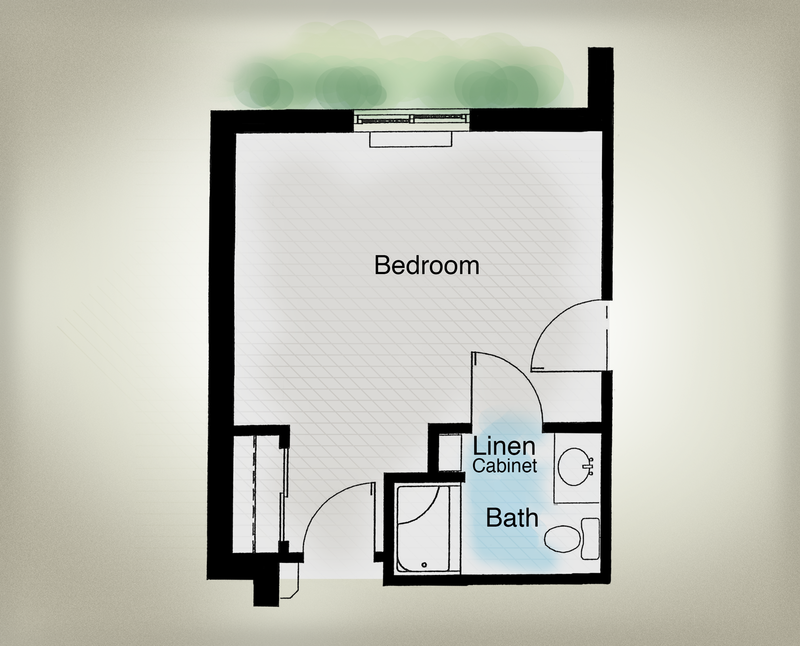 We offer two different one-bedroom apartments. 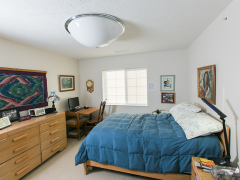 Each apartment has a living room, bedroom, closet, bath and linen cabinet. 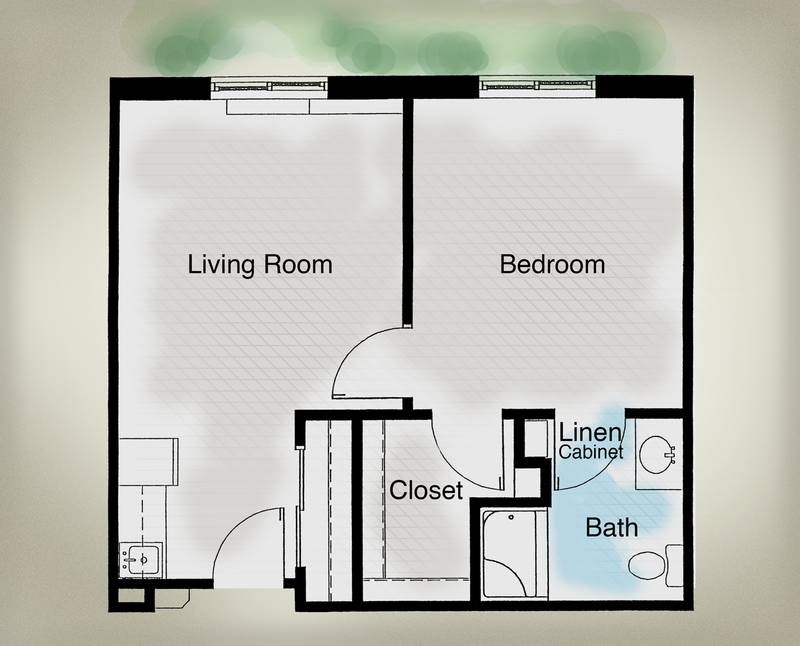 Click the floor plans below to see which layout you prefer. 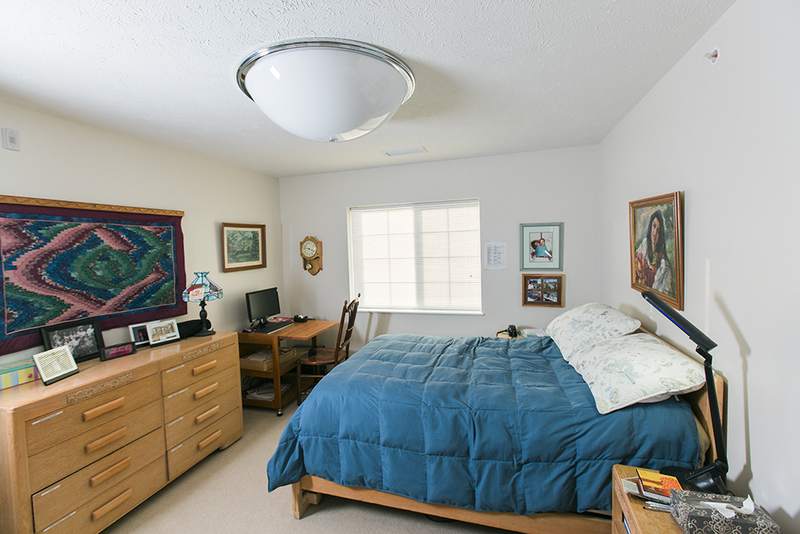 We also offer a studio apartment. 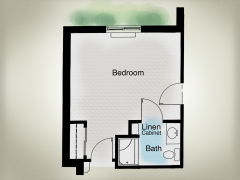 If you are interested in a two-bedroom apartment, please ask about availability.